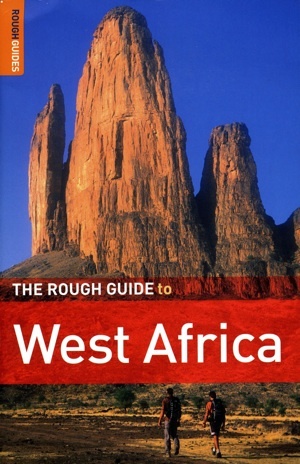 On the road between Oshogbo and Abuja, as I traveled across West Africa, I noticed one of the old men in my taxi reading over my shoulder as I paged through my Rough Guide to West Africa. So I handed it to him, as well as my Bradt Guide to Nigeria. Partly out of embarrassment, I held back the Lonely Planet Guide to West Africa, which I’d also brought because I didn’t have time to photocopy all the countries I’d be going through. I know I’ve said I only bring eight books when I travel. But sometimes you just can’t decide what to leave and what to take. Incidentally, though, this gave me a chance to road test what I think are the three best guide book companies: Lonely Planet had the best maps, but it was a few years old, and things in Africa change fast. The Bradt guides (For Nigeria and Burkina Faso only) had amazing depth, but also suffered from the pace of change. The Rough Guide had the best cultural information and was the most accurate, so I used it the most. When I got to Abuja, Nigeria, I called a friend of a friend who’d invited me to crash at his place. 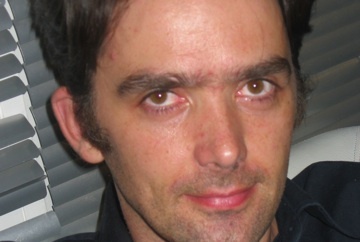 His name was Jeremy Weate, and when I arrived, he saw my Rough Guide and asked how I liked it. I gushed: The Nigeria section, at 148 pages, with five pages about Nigerian literature, another five on music, and a wonderful section on food, was easily one of the best guidebook sections I’ve ever read. After we got back to his place, I sat down with Weate and asked him what it’s like to write a guidebook about a place as unpredictable, difficult and thrilling as Nigeria. You can read the interview here. Previous Dr. Evermor, I Presume?